Samford + Dohanue represents the treasured history of Auburn's academic and athletic achievements, and was created for the Auburn family. With the mission to connect style with Auburn spirit, S+D was concepted and designed in Auburn. The corner of Samford and Donahue represents the intersection of Auburn academics and athletics. Blending high quality materials with southern style, S+D is meant to be worn at the hunting camp or cocktail party. 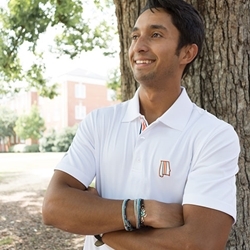 Whatever the occasion S+D is about looking your best, being comfortable and celebrating Auburn pride.Whether your are playing golf, or headed to class, at work or on the farm S+D is uniquely Auburn.